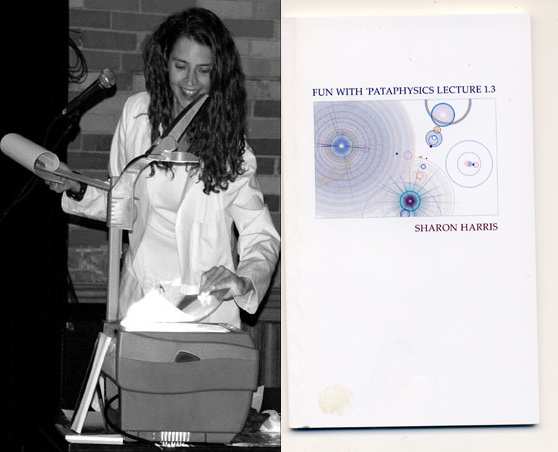 Sharon Harris’s lecture notes from the Fun With ‘Pataphysics Lecture Tour and companion to AVATAR, this book gives irrefutable proof that loves exists. The fully illustrated edition contains Lecture 1.3, given to Stephen Voyce’s third year class at York University, in its entirety. Harris also presented the talk at Toronto’s This Is Not A Reading Series, St. Catharines’ Grey Border Series, Margaret Christakos’s Influency at the University of Toronto, and the Factory Reading Series at the Ottawa Art Gallery. Read the lecture online or view the print edition here. Rainbow books made with Stephen Cain, Garnett Schmidt, Cyan Cain. 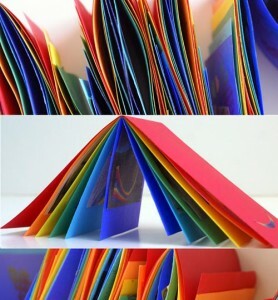 House of Love Press, 2010. 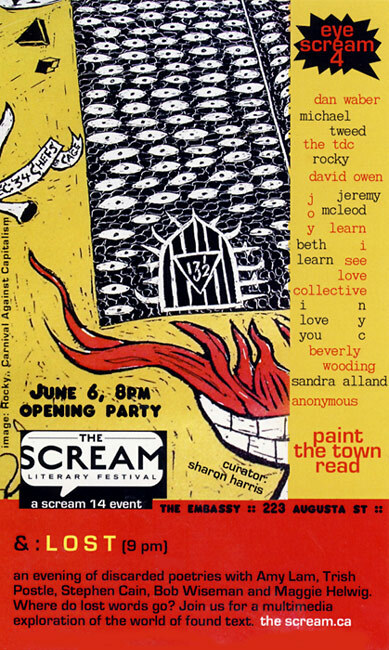 EYESCREAM4: PAINT THE TOWN READ invitation, 2006. An innovative exhibition of urban pictographs and petroglyphs: graffiti, stencils, sculptures, posters, with photographs of all of the above. 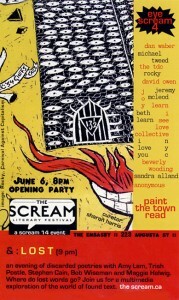 eyescream added a visual component to The Scream Literary Festival. Artists: Dan Waber, Michael Tweed, The Toronto Decorating Committee, Rocky, David Owen, Jeremy McLeod, Joy Learn, Beth Learn, I See Love Collective, I Love You (NYC), Beverly Gooding, Sandra Alland, Anonymous. Curated by Sharon Harris.